One of the most confusing things about the digital detector industry is amount of choice out there – do you want a semi-conductor or a fuel cell, do you want readings in %BAC, Promile or (UK Police standard) microgrammes? Do you want replaceable sensors or would you prefer to have the device checked by a qualified technician? Choice is often biased by cost – unsurprisingly – and in this market there is DEFINATELY an element of ‘you get what you pay for’. PARKERS have produced a detailed article on the dangers of using devices from the cheapest end of the market, showing the inconsistencies that will be found from units costing from £3.99 to the most expensive tested at £15.99. Its a valid article, and one which we understand and know only too well. Although we steer well clear of devices such as these (can anyone HONESTLY expect a device that costs less than 1/100th of the price of a Home Office approved device to actually be anymore than a Christmas decoration?) we DO offer devices at the lower end of the market as they are a popular stocking-filler gift. In many instances, our customers come back admitting they perhaps underestimated their requirements and upgrade to a device more suitable; without offering the lower end of the market we would lose their initial custom. We would far rather a customer buy, try and upgrade then walk away dissatisfied. 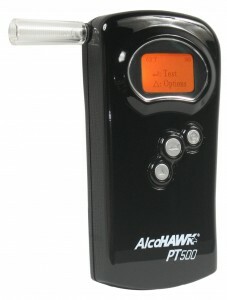 We have tried to take the difficulty out of the variety of devices out there by having an integrated ‘Help Me Choose’ on our website which with a few clicks will take you through to the breathalyzers we believe may be the best for your intended use. However nothing beats personal recommendations – our annual Christmas do’s are the time we get the new devices out with our sales team and have the tough and arduous job of establishing how good they are in a real-life situation. It’s a hard job but one that (surprisingly) ALL the team enjoy attending…! Apart from simply being a good night out, its also gives everyone the chance to ‘have a go’ so that they can give an honest opinion to our customers of the devices, be it good or bad. And that can’t be wrong.